The companies in the mechanical manufacturing industry that have the highest competitiveness are the ones who best managed to digitize manual operations and interfaces. Sweden has a highly developed mechanical manufacturing industry that competes in a global market. Swedish industries have already implemented basic improvement measures and maintain a highly technical level. To remain competitive, we need to constantly develop our business, both in terms of how we work and how we take advantage of the opportunities offered by modern technology. What can we learn from the construction industry? Within the construction industry, there is a clear division of companies depending on the degree of achieved digitization (BIM Level 0 – 3). In many cases, there are serveral requirements to be able to work with or even offer a project. As a customer you want to ensure efficiency and quality of the delivery. In order to be competitive in the construction industry, it is therefore necessary to continuously digitize its business to reach the next level in the BIM staircase. The same applies to mechanical industry, where we can see a similar division among our customers. Which of the levels below is your business at? Today, a modern CAD tool and a document system are a prerequisite to run a construction department. You are building your model in 3D and create drawing materials for the production. Design data is saved in the document system to keep track of versions and backup data. In addition to Level 1, an effective method is included which ensure that the quality and designs are unitary constructed (standardization), regardless of who in the design department that made them. Since all designers work the same way, better redundancy is obtained which allows more designers to work towards the same construction. In order to reach redundancy, a more advanced data management system is required, where it is easy to find, track and reuse data. Between level 1-3, it is mostly about internal efficiency (doing things right) at the company’s construction department. Once we have achieved higher internal efficiency in the construction department, it is time to take advantage of this to achieve higher external efficiency (doing right things). 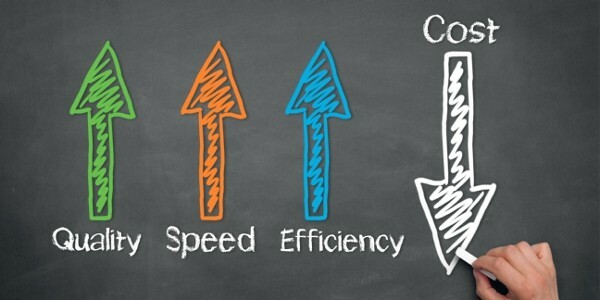 Increased external efficiency facilitates the work of other departments within the company. It also aims you to get closer to your customers and to meet their needs and wishes in a better way. Today, the biggest potential for efficiency in manufacturing companies is usually in the interface between the company’s business critical system. By integrating the systems with each other, manual steps are automated while ensuring that everyone has access to the right information. An integration in the system consequently minimizes the risk of making purchases and manufacturing on improper basis. An Internal Product Configuration is a web based, rule-directed and user-friendly tool on a website or on a seller’s computer. The customer, by him self or with salespeople, has the opportunity to configure the product as he wants and see what their specific variant of the product looks like and what it will cost. External Product Configuration is a more advanced configurator. It is used by technical sales engineers or constructors when technical expertise is required to make the right options. It accelerates the production of bases and more advanced offers. 30 years of knowledge in the industry it is our mission to increase our customers’ competitiveness. Together with you, we identify bottlenecks and potential of improvement. We also implement measures that ensure you to have a better starting position than your competitors. Do you find yourselfs at level 1 and want to step up to level 2? Or do you want get more educated within the levels? Don’t hesitate to contact us!